Taking a few ingredients and turning them into a most flavorful dinner is exactly what this is, epic flavor in an hour served with some rice and tons of vegetables is right up my alley. I’ve been craving white rice lately, it’s kind of weird because of how much I love brown rice and that’s mostly the kind of rice I eat. But for a couple of weeks now I’ve been wanting some Jasmine white rice, it’s my favorite white variety. So we got got some, an organic version and wow did it taste so good. There must some nutrient in it that my body wanted I suppose, because I served it with this Red Curry Lime Chicken and the craving is gone and my belly is happy. And it was so good, I love how rice smells when it cooks, and pair that with this curry chicken, the house smelled like curry heaven. Brian walked in the door and was instantly hungry! It’s easy to find curry paste nowadays in most grocery stores. I used to buy mine at Asian markets, and they are really good, just make sure to look at the ingredients to see if there is anything funky in it. But the one I used to get was all good. Yet I have found them in even the big box stores lately, which is cool. And I was shopping at my favorite locally owned grocery store, crossed my fingers I would find one for this recipe, and I did! It’s a locally made red curry with all normal and natural ingredients, low sodium, and super awesome balanced curry flavor. Needless to say I am happy about this! 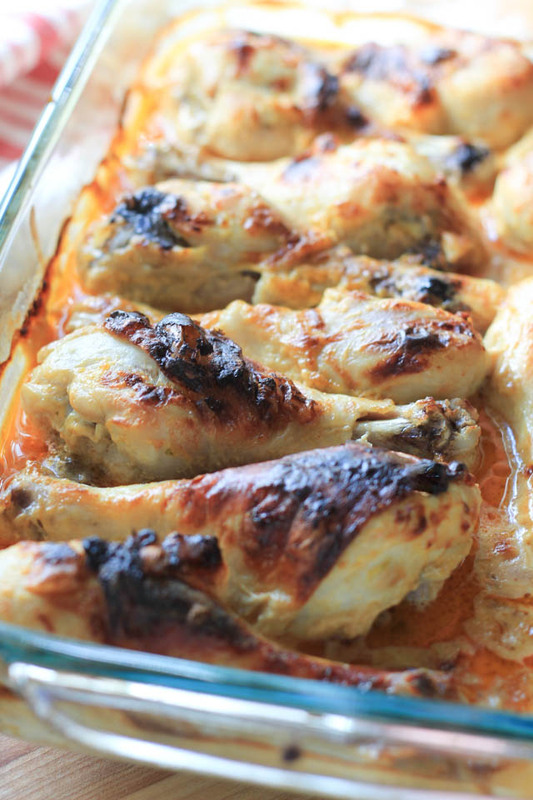 I’ll be trying more of them in the future, and for now we have these tender and flavorful Red Curry Lime Chicken to eat! Place butter, olive oil, curry paste, honey, lime, and salt in a large bowl, whisk to combine. Remove 3 tablespoons of mixture, place in a small bowl, set aside. Add coconut milk to large bowl mixture, whisk to combine well. 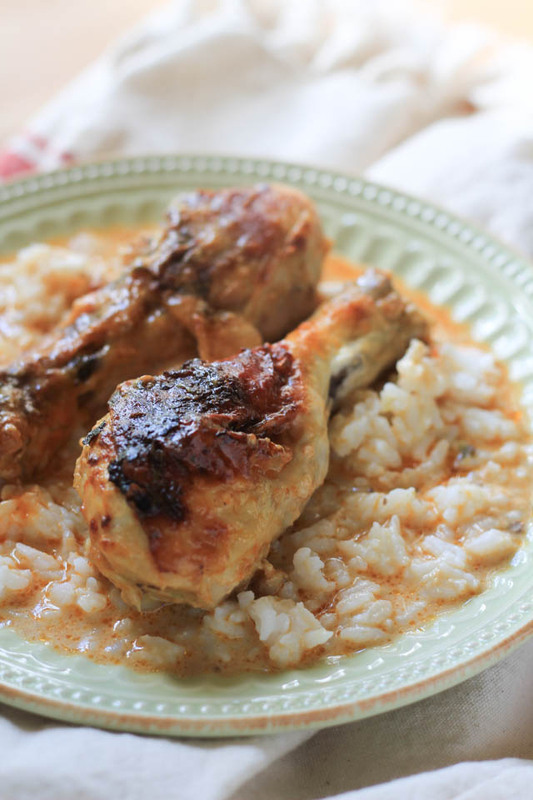 Place drumsticks in large bowl, toss to coat with curry sauce. 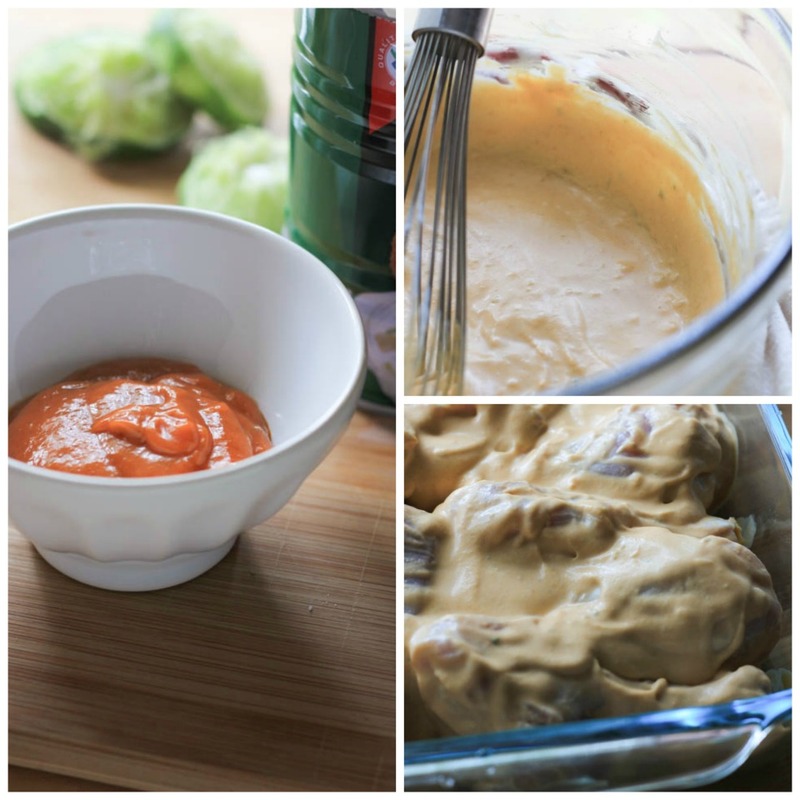 Place in 3 quart oven safe dish or pyrex, evenly spread out, place in oven, bake for 1 hour. 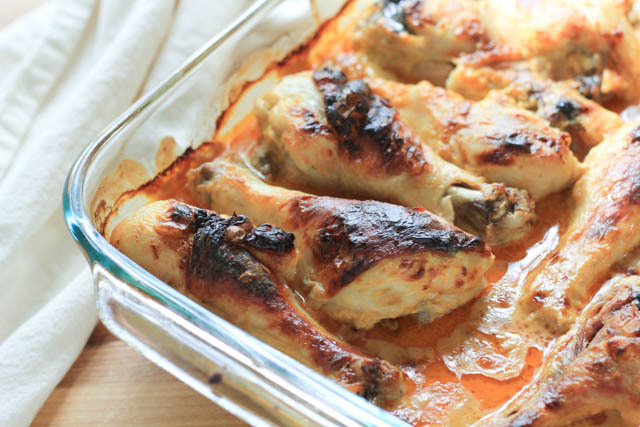 Remove from oven, place drumsticks in a large bowl and toss with the extra reserved sauce. Serve immediately or store leftovers in an airtight container for up to 3 days. To plate, place a scoop of rice on the plate, pour a large spoonful of the cooked curry sauce over rice, then add chicken. Oh yay!!!!! We love it, I hope you guys do too :). It’s so easy! This looks awesome! I love the idea of a sweet/spicy flavor from the honey and the curry paste! I love roast chicken! this sounds really tasty, great share.